Pied Currawong - Currawong-v-Bug Dog Fight See the bug at about 2 o'clock from the Currawong's eye. While the bird's head is pointed away from the bug, the bird's right eye is fixed firmly on it. 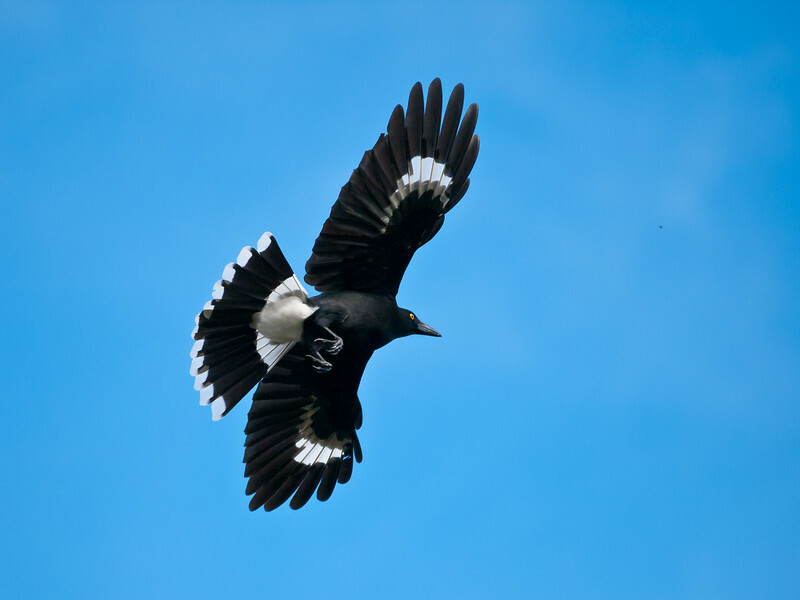 The Currawong wins, by the way.